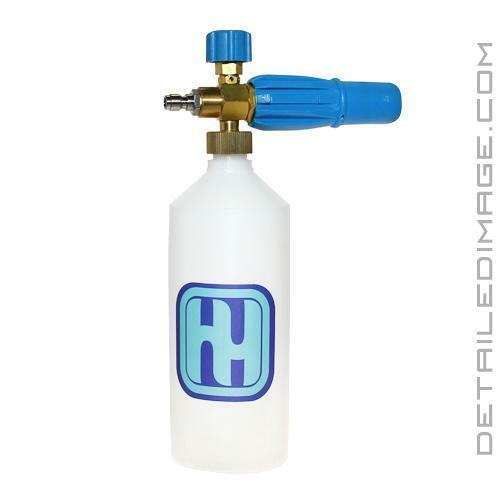 The HydroSilex Foam Cannon allows you to spray a thick layer of cleaning shampoo directly onto the surface of your vehicle! When you touch your paint, even when washing, you are at risk of adding imperfections. You can, however, cut down this risk greatly by using high-quality products and detailing techniques. 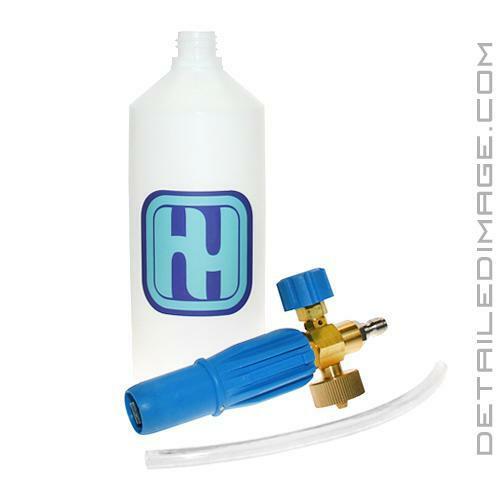 With the HydroSilex Foam Cannon and your pressure washer, you can spray a thick layer of shampoo foam onto the surface, which encapsulates dirt and grime, gently pulling it away from your paint and lubricating the surface for safe removal. HydroSilex recommends using the HydroSilex Silica Soap in combination with this unit, but other shampoos work great as well. Just hot/warm water into the resivour and follow that up with the shampoo. Connect your pressure washer and play with the settings to find what works best with your setup. From there, have fun spraying a thick layer of foam onto the surface of your vehicle! Fill the bottle with hot/warm water before adding soap - this helps your solution mix together. Wash foam nozzle after each use with clean water. Works best with HydroSilex Silica Soap.